AMD SenseMI technology is a collection of smart features that rapidly and automatically tune performance for more responsive applications. When you buy a computer or start a PC build, the processor is usually the first consideration. More than any other single component, the CPU determines the capability of the system. For example, in a high-end gaming PC or workstation, the CPU may not be the most expensive component in the computer (usually the graphics card) but it is largely responsible for how that graphics card performs. A high-power graphics card won’t make up for lower power CPU. The two don’t mix; it results in a bottleneck wherein neither processor performs up to standard. Know the common metrics used for CPU comparison. These are clock speed (GHz frequency), number of processor cores, cache memory capacity, and overclocking capabilities. Buying the best CPU entails matching performance metrics with the planned use of the PC. Avoid common mistakes like buying an Intel Core i7 for gaming, thinking it that it outperforms the lesser-priced Intel Core i5 in that area. It doesn’t—Intel Core i7 architecture is tuned for pro content creation applications and offers negligible advantages for running games. Collect system requirements for games of applications you plan to use. Set a budget for the entire system; how much do you have to spend? Think about the lifecycle of your PC hardware; how long before you want to upgrade? Product specifications identity several metrics that measure performance. Modern CPU chips contain two or more separate processors—called cores—in each die. Most games and mainstream office and media programs are single threaded and run in one core of the CPU. A dual- or quad-core processor can run simultaneous single threaded applications without slowing performance. Certain types of CPU-intensive software—programs for design work, video editing, data science—require a multicore pc processor for operation. These are called multithreaded applications. Server CPUs are designed for share computing power as virtual machines and can have 10 cores or more. The rate at which a CPU core cycles commands is the clock speed, or frequency, which is measured in GHz. One GHz represents 1 billion command cycles per second. Clock speed is tied to fast processor performance for single-application workloads. The cache is a small DRAM chip on the processor that stores frequently accessed data for faster recall. Cache is built in layers; L1 is the fastest performing and has the smallest capacity; L2 is larger but with more latency; L3 follows the same pattern. Chips with more cache perform well under heavier workloads. Software relays chunks of instructions, called threads, to the central processing unit to carry out. High-end workstation and server CPUs have multithreaded architecture that improves how cores sequence and complete instructions. The synchronization provides more efficient use of computing resources, and end users experience performance gains when multitasking or running multithreaded applications. HyperThreading is Intel’s proprietary name for multithreading in CPUs, namely the Intel Core i7 family. AMD designates its variant of multithreading as ‘logical cores.’ For example, the AMD FX-8350 is called an 8-core processor, but really, it has four physical cores with two threads each, for a total of eight logical cores. Intel and AMD are the two bands of desktop computer CPU consumers have to choose from. 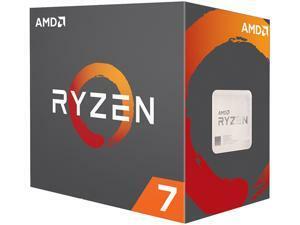 AMD processors offer tremendous value especially for low power systems. The top end of the market is dominated by Intel processors. Both brands have products in every performance range; a perpetual debate about which is better rages among the fans of either brand. When conducting a CPU comparison to determine best value, a hard, fast way to calculate cost/performance ratio is to multiply the number of cores by the clock speed and divide by price. This method is less than scientific, but it provides a quick starting point for recognizing value. There are other things to consider, like cache size, threads, and power consumption. The letters and numbers have meanings as well, deciphering AMD and Intel processor model numbers takes some legwork. Examples: Intel Pentium G4000 series; AMD A6-7000 series; Intel Core i3-6100. CPUs on the lower end of the power spectrum would generally not be considered for more than light tasks, such as browsing the Web or word processing. In general, system builders shouldn’t expect to use these CPUs for gaming, video editing, or running several applications at the same time. What low power CPUs do offer, however, is low power consumption and low heat output. This allows them to be placed in smaller devices, like tablets and netbooks, which typically need long battery life and don’t have room for a CPU heatsink. Examples: Intel Core i5-6600K; AMD FX-6300; AMD FX-8300 series. This class includes the best CPUs for gaming. These have four or more cores and overclocking capability, which AMD and Intel processors designate with ‘K’ in the product name (Intel i5-6600K for example) Overclocking a CPU can have very high heat output. As such, PCs with overclocked CPUs should have a third party cooling system built in. Examples: Intel Core i7-4790K; Intel Xeon E3 series; AMD Operon 6320 series. CPUs with multithreading are designed to run heavy production software—CAD, 3D graphical design and animation, scientific databases—which utilizes multiple cores for operation. Generally speaking, if you do not use a PC for these purposes, a workstation PC is overkill for your needs. Sometimes workstation PCs use a server CPU to add performance under heavy workloads like rendering large video files. Depending on their function, server systems differ on how powerful the processor needs to be. A file server, for example, usually has a low power processor with a clock speed around 2.5 GHz and two, maybe four cores and error correction code (ECC) support which prevents data corruption. If you are building a file server, example: Intel Core i3-6100 which has ECC. On the other side of the spectrum, a virtualized server needs a heavy duty multi-core processor because its job is to share processing power with virtual machines. The best server CPU for virtualized infrastructure has a high core count and a high thread count; the clock speed is not as indicative of performance. Examples: Intel Xeon E5-2000 series; AMD Opteron 6370 series. Computer enthusiasts look to benchmark publications for third party data measuring hardware performance. A CPU benchmark, or any hardware benchmark for that matter, is one of three types: synthetic, real world, or hybrid. Synthetic benchmarks are designed to produce accurate comparisons for individual hardware components. In this case, the systems for conducting the testing are kept as identical as possible, without additional workload running other than the testing software. Good for differentiating hardware, but not reflective of every day performance. Real world benchmarks test performance for an entire system against a specific workload. It gives you an idea what types of components work best for various applications, but it cannot drill down to a single component. Some publications give a mix of the two, a hybrid benchmark, which put systems and components through testing and use weighted calculations to derive a value rating. Each method has its merits. A synthetic CPU benchmark might provide data that differentiates two processors with similar specifications, but the performance may not reflect an authentic user experience. Look for real world benchmarks that test a system similar to what you have or plan to build with software or games that you plan to use. Think in terms of value. 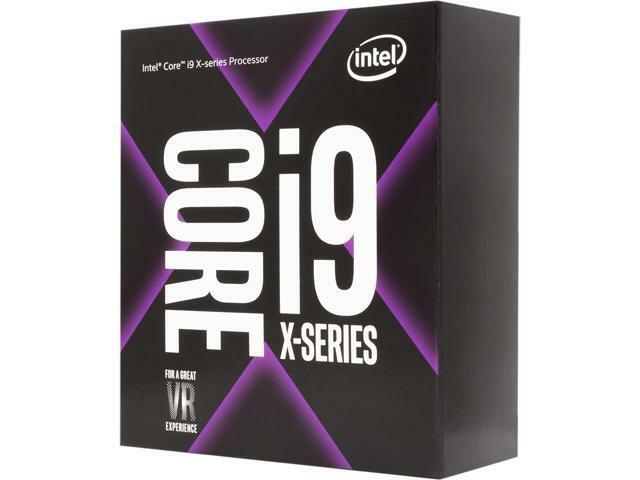 Which CPU does the job at the best price point? On a tight budget you will find a lot of value in AMD chips—several low-cost AMD CPUs offer overclocked performance; A10 APUs offer good bang-for-buck for HD gaming without needing a video card. Looking for an inexpensive multithreaded CPU for video editing? Go with an FX-8350. That said, Intel is dominant at the mid- to- high end of the market despite the premium pricing. Intel Core i5 and i7 CPUs offer undisputed graphics advantages in systems with a discrete video card, and tend to be more energy efficient. If you have the money, Intel is the more likely choice. Is my CPU is overheating? Sudden computer shutdowns, blue-screen errors, and choppy performance are a signs of an overheating CPU. There are third party apps to check CPU temperature, but most BIOS interfaces have built-in temperature gauges. Access the BIOS when your PC first boots up, usually by pressing the F2 or F10 key when the motherboard logo flashes on. Look for a menu that says PC Health or H/W Monitor or Status—something along those lines. The temperature limit for most CPUs is 167°F but check your specific model for the exact number. How do I stop CPU throttling? Drops in performance due to CPU throttling, a power-saving measure by Windows to manage system heat, can be disabled by clicking Control Panel > Hardware and Sound > Power Options. There you click Change Plan Settings followed by Change Advanced Power Settings; find the Processor Power Management link, and expand it—set Minimum Processor State to 100%. Scroll down to System Cooling Policy and set it to Active. Restart and access the BIOS; find and disable the power management feature (it is called various things, consult your motherboard manual) and save the settings.